The Anchoring Seminar has been prepared to assist boaters in understanding the issues and problems involving the theories of anchor weight, the methods used to anchor, and the choices of anchor types for the area of boating. The slides and notations on anchoring are intended to raise awareness of the need for correct anchor choices and the mechanics of proper anchoring techniques. The knowledge gained from completing this seminar will increase the student’s understanding of the conditions and situations involved in anchoring a boat and the need for a proper anchor choice. 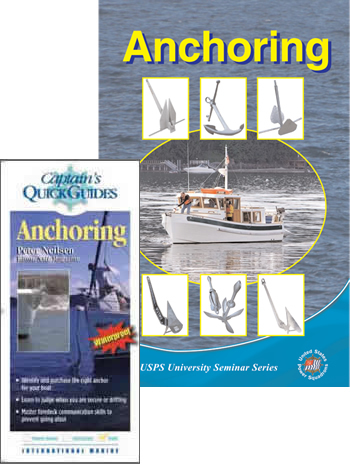 The kit includes the Anchoring Quick Guide and Anchoring Seminar booklet. See the trifold brochure (1211KB, PDF) for more information.